RCR Flooring Products is a division of RCR Industrial Flooring, an international group of companies which offers a uniquely integrated start-to-finish service for industrial concrete flooring. RCR Flooring Products. This is the manufacturing division, which includes RINOL, Permaban and ROCLAND industrial concrete flooring product design and manufacture. RCR Flooring Applications. This division includes numerous specialist industrial concrete flooring sub-contractors around the world. They create traditional, decorative and resin floors, and external pavements. RCR Flooring Services. Incorporating design, structural engineering and project management services, this division offers repair services under the Permaneo brand, and industrial concrete flooring consultancy by Monofloor. RCR companies operate as a team throughout the world, ensuring international customers can enjoy the same standards of service and project delivery wherever they are. As a result, RCR is proud to list many respected companies among its clients, including Audi, BMW, Caterpillar, DHL, Kühne & Nagel, Walmart and Coca-Cola. 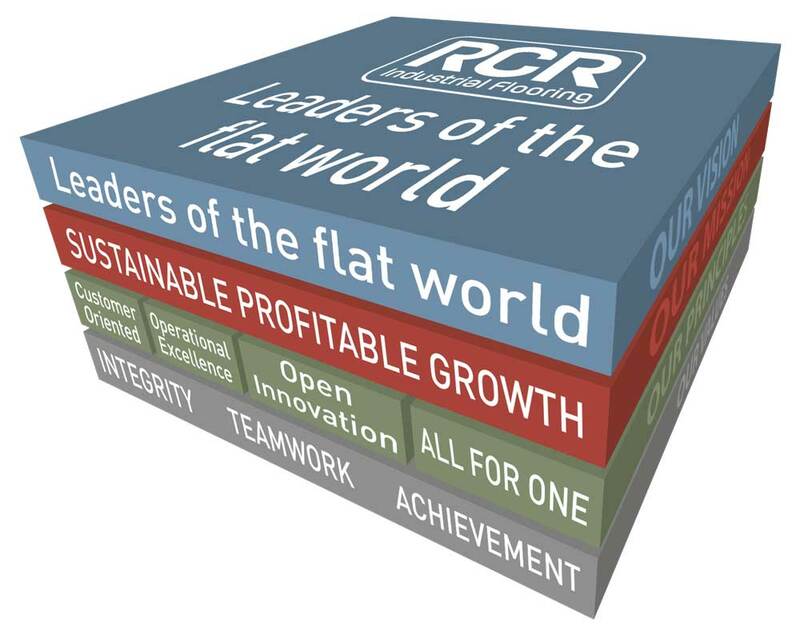 RCR is a group with strong values of integrity, teamwork and achievement. As a group we believe in being customer driven; operating at the highest standards; pursuing open innovation; and working as a strong team.